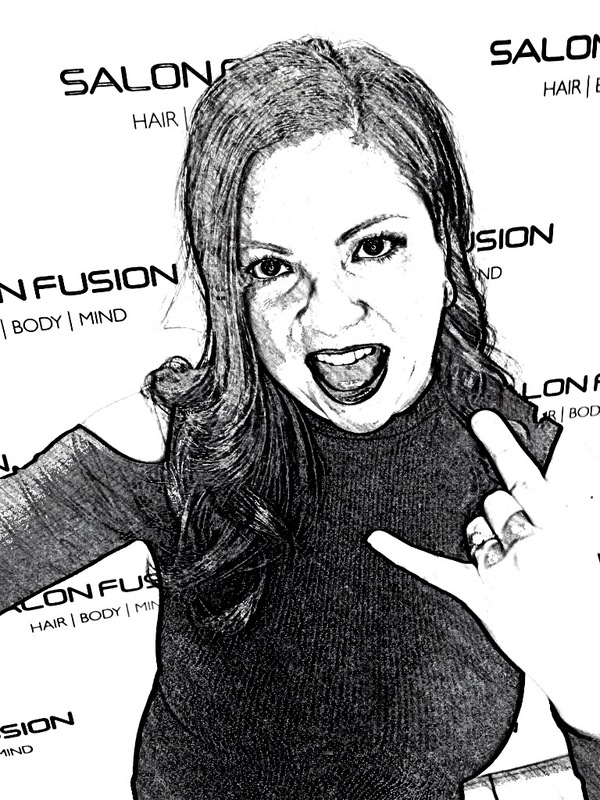 Salon Fusion Hair|Body|Mind is one unique sanctuary where you can relax, revitalize and savor in a setting of tranquility, beauty & joy. Enjoy luxurious facials, massages and experience our exclusive sauna suite a thermal environment. Along with consultations with wellness professionals, you’ll enjoy extraordinary spa treatments and the warm personal attention from an exceptional team, who deliver the Fusion philosophy with passion and dedication. This premium spa offers a complete range of therapies from clinically trialed anti-aging facials, body therapies and every lifestyle concern to awaken the body with a beautiful synchrony of touch, aroma and texture. We need to deliver the finest detail and client care; every treatment creates the ultimate spa experience and will keep you coming back time and time again. In this world of unparalleled luxury, you’ll enjoy all-day access to one of the most extensive, beautifully equipped spas in the North Shore. Whether you’re looking for a solo getaway, the ultimate couple’s spa haven or a quiet escape – you’re in the right place! Instant radiance for your eyes. Refreshes the eye contour area for a younger and relaxed look. DESCRIPTION: A deep exfoliating treatment that combines Lactic and Glycolic Acid with Arginine to promote hydration. DESCRIPTION: An exfoliating treatment with lactic acid. Works to even out the top layers of the skin. Microdermabrasion treatments use a minimally abrasive instrument to gently exfoliate your skin, removing the thicker, uneven outer layer. This type of skin rejuvenation is used to treat light scarring, discoloration, sun damage, and stretch marks. • Improve age spots and black heads. • Improve hyperpigmentation (patches of darkened skin). • Exfoliate your skin, resulting in a refreshed appearance. • Lessen the appearance of stretch marks. • Reduce fine lines and wrinkles. • Reduce or eliminate enlarged pores. • Treat acne and the scars left by acne. Microdermabrasion helps to thicken your collagen, which results in a younger looking complexion. Collagen is a protein in your skin that’s abundant when you’re a child and makes skin appear taut and smooth. Collagen production declines as we age, resulting in looser, uneven skin. Your polished new look should be long-lasting, depending on the severity of your skin damage and the number of treatments that you receive. Many people have two microdermabrasion treatments per month at first and then one per month as part of a maintenance plan. Wind down and release the tension of the day; Specifically targeting the back, shoulders and neck areas where you need it most. Alleviate stress, ease aching muscles and revive the senses with this powerful, customized massage. Dynamic blends of essential oils and level of pressure are customized to target individual needs. Helps relax, recharge and re-energize, while tension melts away. Therapeutic heat is slowly released into the belly of the muscle for a completely new body experience. Small stones are placed on key energy points, while luxuriously warmed oils are massaged deeply into the body for maximum relaxation. The anti-inflammatory and pain relieving agents of CBD oil and Salves help reduce inflammation within muscles and joints, allowing the massage therapist to work more effectively and get deeper into the muscle. This in turn helps relax and escape stress. For athletes, CBD also has the reputation for accelerating the recovery and healing process of injured connective tissue. Our Cannabis-infused massages are performed with the highest quality CBD Salve, it won the best CBD Salve at the Denver Cannabis Cup in 2018. It is known for its therapeutic properties, anti-inflammation and pain relief without the psychoactive effects. With our unique approach a sense of deep relaxation, and even a sense of “floating” is normal after one of our deep cannabis-infused massage session. We also include a take home Salve and Oil so that you continue your treatment at home. Choose from our calming and soothing Lavender Calendula to help relax, or our Cayenne Pepper formula which helps warm the area of pain or soreness and increases blood flow. The ultimate skin overhaul for maximum anti-aging results. Charged with clinically proven Time Defense Wrinkle Delay and Eye Reviver, this treatment is tailored to help combat the effects of a hectic lifestyle, aging from frequent shaving and environmental stressors. This super-grooming facial decongests the skin, working to eliminate blocked pores and accelerate skin recovery. Fast-acting ingredients reduce sensitivity and provide long-lasting defense against the effects of daily pollutants, leaving the skin clean and clear. A body exfoliation ritual to invigorate and revitalize the body. After light body brushing, warm oil is dripped luxuriously over the body, before the sublime Exotic Lime and Ginger Salt Glow is applied. Skin is deeply cleansed and moisturized, leaving it glowing and vibrant, replenished and flawless. A body exfoliation ritual to invigorate and revitalize the body. After light body brushing, warm oil is dripped luxuriously over the body, before the sublime ELEMIS Aromatic Tahitian Coconut and Frangipani flowers are soaked together to produce the Monoi Glow is applied. Skin is deeply cleansed and moisturized, leaving it glowing and vibrant, replenished and flawless. Drift away while you are cocooned in a comforting foil wrap or unique dry float and treated to a pressure point facial massage and de-stress scalp treatment. Using a warm blend of Essential oils, this specialized treatment helps ease aching, tense muscles. Let your thoughts drift away, while cocooned in a comforting wrap of rich marine algae and detoxifying Juniper and Lemon. Enjoy a facial massage and de-stress scalp treatment or soothing foot massage. Helps refine the appearance of cellulite and relieve the discomfort of fluid retention. This inspirational therapy connects mother and baby through the power of touch, working with two heartbeats as one. Specialized positioning on the unique Fusion beanbag is used to ensure the ultimate in safety, comfort and relaxation. Helping to relieve tension in the back and alleviating swelling in the hands and feet, while easing the mind and uplifting the spirit. Cuticles, nails & hands are conditioned and strengthened, with the indulgent Skin Nourishing Milk Bath combined with the anti-aging Pro-Collagen Hand and Nail Cream intensely hydrated for irresistibly smooth, youthful looking hands. Therapeutic heat is slowly released into the arms and hands of the muscle for a completely upper body experience. Small stones are placed on key energy points, while luxuriously warmed oils are massaged deeply into the hands and arms for maximum relaxation. Warmed aroma-therapeutic oils nourish and super-condition neglected feet and nails. The extra-rich hydration replenishes and softens hard working heels, lavishing a rich and healing action to your skin. Help release tension headaches and feel ready with an intensely relaxing scalp massage using Frangipani Monoi oil.